Rollx is a Charismatic, Vibrant and Extraordinary Dancer and Instructor and together with his team, they represent the younger generation of Dancehall Street Dancers (New Skool Dancehall / Dancehall Evolution) They are also associated with the Verbnation / Elite Team Dancers and teach at their HQ on several occasions. These crews are constantly creating new, intriguing and exciting steps that, which they perform at local dancehall weekly events. Since 2012 the group has gained popularity locally and internationally. Their work was featured in many music videos of artists like Razorb, Konshens, JahCure and Mya. The Dancehall Duo RDX recently recorded a song for their step called “Walk”. 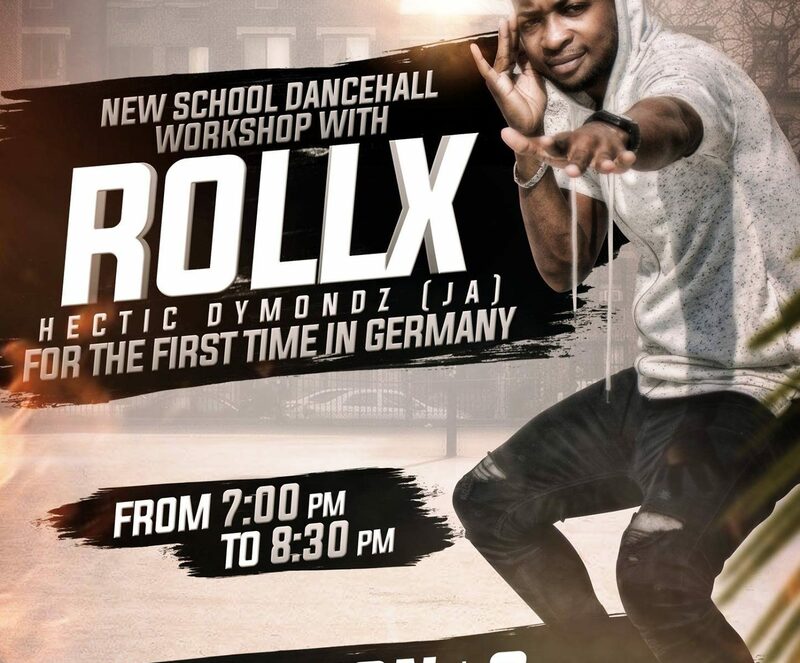 Hectic Dymondz has now a place on the map and dancers from all over the world travel to Jamaica to learn their authentic steps such as “happy hour” and “bop bop”.